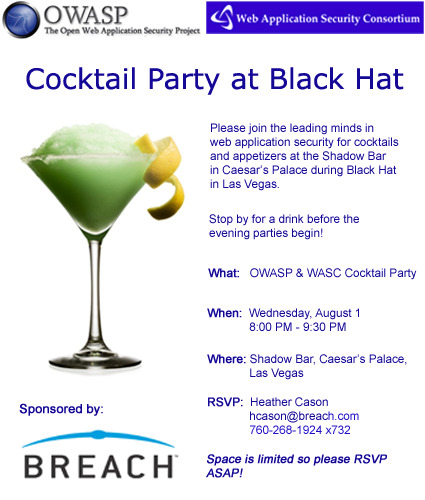 This year OWASP and WASC have decided to have a joint party at Blackhat vegas. I'll be there with many of the other appsec industry people. RSVP if you want to attend!